At Zinnia Aesthetics & Anti-Aging in Fairfax, VA we are proud to offer treatment for Melasma. Our board-certified doctors at our state of the art facility are available seven days a week to assist you with this condition. We’ll work with you to develop a treatment plan so we can achieve your desired goals. This common skin condition is noted by gray-brown or brown patches of skin that usually appear on the face. In many cases, they appear on the bridge of the nose, upper lip, chin, or forehead. Areas of the skin that get a lot of sunlight, such as the neck and forearms, are also susceptible to this condition. To prevent this from developing as a result of sun exposure, apply sunscreen frequently throughout the day. Experts suggest reapplying it every 2 hours and also wear wide brim hat when spending extended periods of time outside. What are some other causes of Melasma? Besides the sun, this condition can appear as the result of medications. It has been known to be caused by antiarrhythmics, antimalarially, antibiotics, antivirals, chemotherapy agents, heavy metals, hormones, and antipsychotics. Each drug can cause discoloration in different parts of a body. One may cause melasma to show up on the shins while the others will show up on cheeks. Oral contraceptives have also been connected to Melasma. Melasma is far more common in women than in men. In fact, this condition is so common in pregnant women; it has been called the “Mask of Pregnancy” throughout history until doctors had a better understanding of the condition. It also seems to affect women with darker skin tones and women in the second or third trimester of pregnancy. How do I prevent Melasma? Ultraviolet A and Ultraviolet B-light play a big role in triggering discoloration. Try to limit your midday exposure to sun and wear SPF 30+ if you intend on going out. When you visit our center for treatment, ask our doctor to provide you with more information on post-treatment care. What Melasma treatments can I have at Zinnia Aesthetics & Anti-Aging? Our board-certified doctors will sit down with you for a one on one consultation. During this consultation, we will go over the benefits, risks, and costs of each treatment. We will also review your medical history and discuss what your overall goals. With this information, we’ll recommend the best treatment for you to treat your Melasma. Zinnia Aesthetics & Anti-Aging Clinic is conveniently located at 9862 Main Street Suite A, Fairfax, VA 22031. Our state of the art medical clinic is open Monday through Friday from 9 am to 5 pm. We are available by appointment only Monday through Friday from 5 pm to 9 pm and on Saturday and Sunday from 9 am to 9 pm. Many of our treatments at our facility are considered to be elective cosmetic procedures and are typically not covered by insurance. We have financing options available through CareCredit. Call our friendly staff today at (571) 200-2254 for more information. 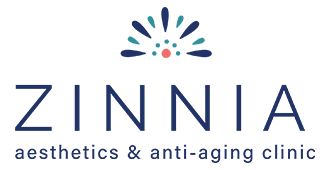 We look forward to meeting you and helping you achieve your goals at Zinnia Aesthetics & Anti-Aging Clinic.